Good news for those of you who use Twitter on your Android or iOS device, your favorite micro-blogging service has just been awarded with two new features – the ability to upload multiple photos into one Tweet, as well as the ability to tag up to 10 people in a photo. First up, if you’re sick of uploading pictures one at a time, the new version for Android and iOS allows you to upload up to 4 photos into a tweet. The pictures will then be arranged into an automatic collage and if you wish to view them individually, just tap on one and scroll through them. 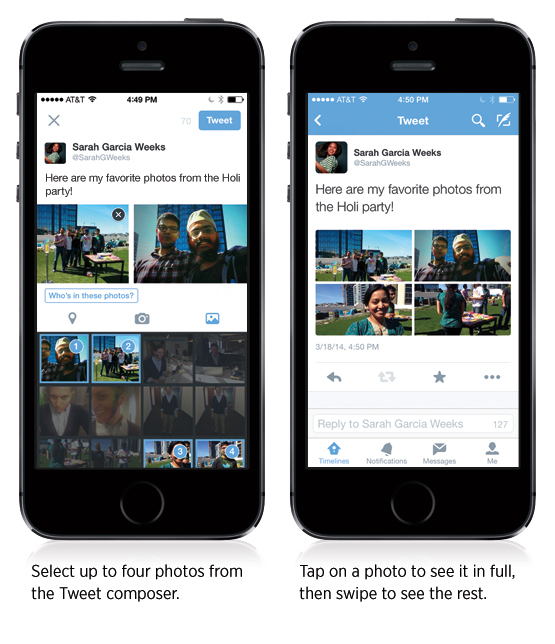 Pictures can be viewed using Twitter’s mobile apps and even via the web on Twitter.com. The next new feature looks like an interesting one, with photo tagging, you will now be able to tag up to 10 people into a photo without affecting your character counts at all. Regardless of how many people you tag, you will still be able to have 140 characters to use at your disposal. 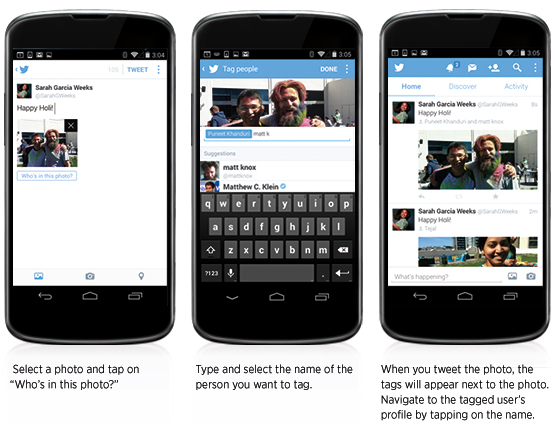 Just like Facebook, when you get tagged in an image, you will be given a notification. If you do not wish to be tagged or would like to set more restrictions to the new capability, you may opt out under the Settings and Privacy section. The Twitter update for your Android and iOS should be available for download right now but if you do not see it yet, be patient, the updates are being rolled out gradually.